Rick Brannan had a fine post on making good use of the Exegetical Guide. You can now see that I've added it in the upper left corner of my workspace, and have linked it to my "Set A" texts which are my primary focus. As Rick notes, be sure to look at the Exegetical Guide "Properties" to customize it to your needs. It's a great way to have lots of information a click away. 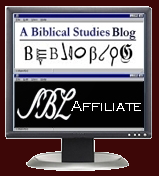 Adapting a suggestion on the BW7 forum, if you are also using BibleWorks 7 as I do and usually have both programs open, I now have also created an external link to my Logos NRSV, and since my NRSV is part of my "Set A," that also activates my Exegetical Guide. BTW, if you look at the BW7 screen shot, you will also see an external link to "Lookup in Logos Dictionaries." Lack of a good Bible dictionary is a weakness of BW7, but by defining a "Collection" of my favorite dictionaries and other resources in Logos, I can now click on an English word in BW7, and it will activate a search in Logos. It works well. Another thing to learn how to use are those linked sets of texts as I mentioned above and to use the "Search Target" option, especially in the search panes, to keep the number of open windows limited. I agree with you completely that the best way to link from BW to Logos is by linking into the biblical verse and then using the Logos workspace to link to other reports getting you access to the various resources. I am a bit more minimalist and use the right/left arrow keys or the links in the EG to access the various lexicons, but in the same window. I also have the PG linked to the bible (link A). This allows me to access commentaries quickly. Lastly, I have a Bible Word Study window open, targeted and linked using B, to the BDAG. I then have a BW BDAG link. I find the information available in the report helpful if I do not want to find the word in the EG. I do not think having multiple links between BW and Logos, such as one for the BDAG, another for LN etc makes sense. We just need to get into Logos and then use the workspace. I enjoyed your article and your blog. I can see how your system works. You probably know this already, but some of your readers may not. Make sure all the sections of the PG, BWS, and EG are collapsed, ie. it shows a + rather than a -. This will keep everything fast. You only open what you need, when you need it. If you leave the various sections of these reports expanded, you will really slow your system down. You can have an EG report on 10 verses in a second as long as the software is not generating and expanded report. Lastly, close all sections of these reports before closing Logos to avoid a slowdown on startup. You are exactly right, John, and you are too modest to not point people to your helpful Video Tips illustrating your point in Logos. Thanks! I realise I'm pretty late in putting a comment here. I'm interested in how you linked BW to Libronix's Bible dictionaries. 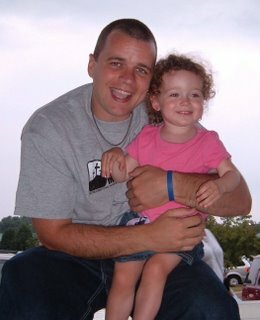 I've tried looking through your posts on the BW forums, but couldn't find anything. If you're able to post how this is done, this reader would certainly appreciate it!